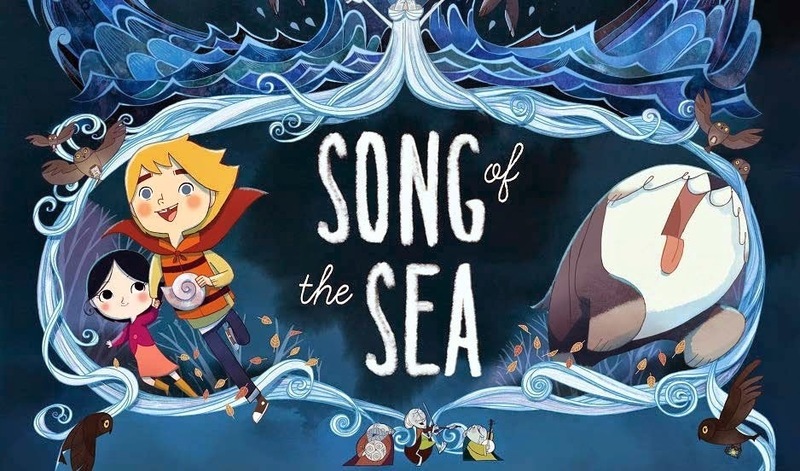 I’ve been meaning to write about Cartoon Saloon for a while now, even before the beautiful “Song of the Sea” was short listed for an Oscar. Why? Three reasons mainly. One: Because it’s an animation studio based in Kilkenny, where I am from. Two: It’s an Irish animation and illustration design studio and I am 100% in support of anything Irish, particularly Irish film as I feel Irish film doesn’t get enough promotion and recognition internationally. Three: Cartoon Saloon’s work is absolutely gorgeous and unique. Their animation is richly illustrated and beautifully unique. 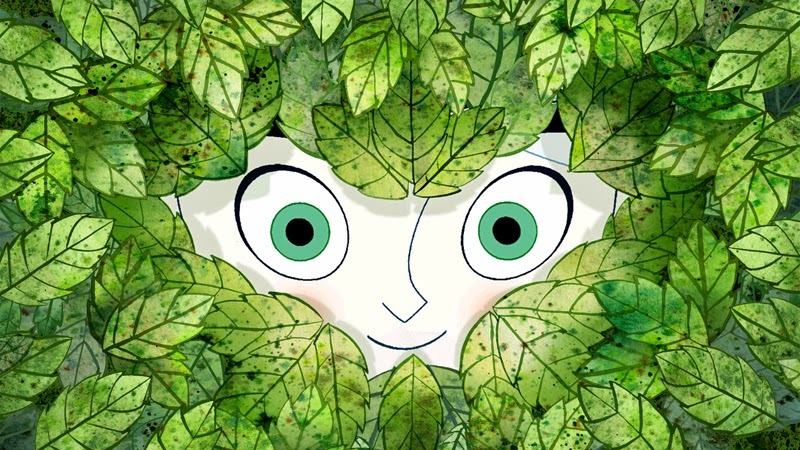 The first time I saw any of Cartoon Saloon’s work was a trailer for “The Secret of Kells”. I was in genuine awe, simply because it was unlike any animation I’d seen before. It was so fresh, exciting and stunning and yet there was a distinctly Celtic/Irish feel to it that was familiar in a way. I think that if you compared a scene from a Cartoon Saloon film and an animated film from DreamWorks you'd see a huge difference in the music, art and storytelling. It's clear that there's a great attention to detail, abstract art and emotion with these films. I think that both children and adults alike would be captivated by the beauty and elegance Cartoon Saloon films have. Rightfully so, as these films take roughly five years to animate! In 1999 the animation studio started as an informal partnership between a few animators brought together by Paul Young and Tomm Moore. 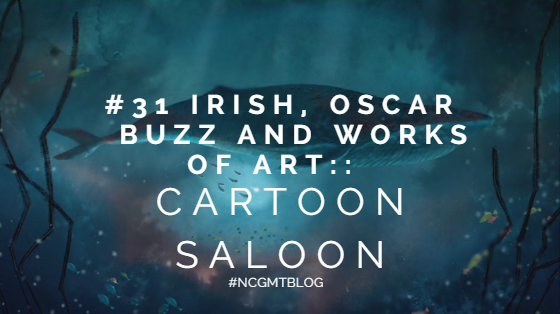 Since then Cartoon Saloon has gone on to create films that have won multiple awards and the studio itself is a multi-award winning animation and illustration design studio. The studio works with various, internationally known clients such as the BBC, Cartoon Network and Disney. They have created productions such as "Skunk Fu! ", "The Secret of Kells" and "Song of the Sea" etc and work has begun on a project called "The Breadwinner". 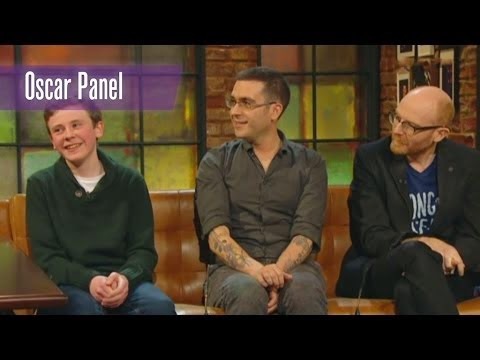 on the Late Late Show on RTÉ to discuss the film's Oscar nod. 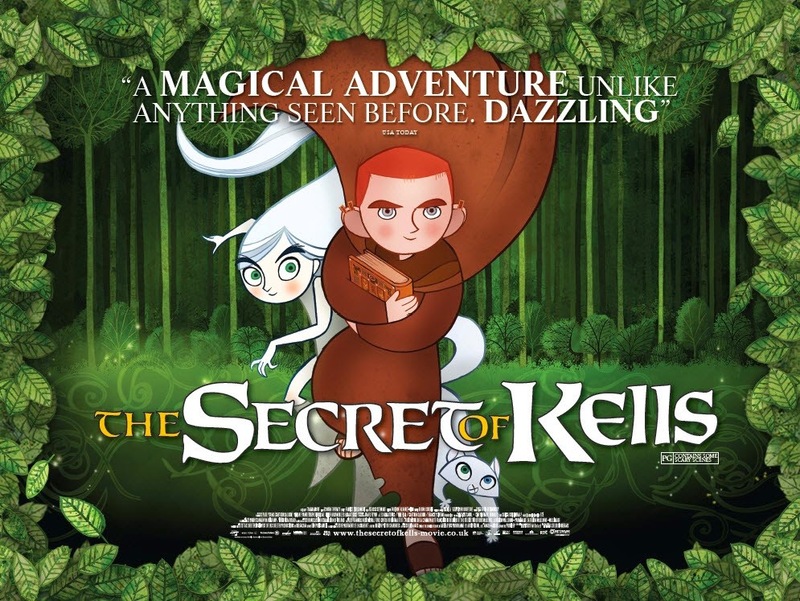 "The Secret of Kells" is a 2009 film that follows the life of Brendan, a young Irish boy who lives in an Early Christian monastery in Kells. The film shows a fictionalized account of how the Book of Kells was created. He goes on to meet Aisling, a fairy who appears in the shape of a girl and a wolf. The monks are busy creating a huge wall to protect the monastery against a Viking attack. It's a beautiful film and it really showcases the talent of the illustrators and animators at Cartoon Saloon. I like that Cartoon Saloon have chosen to show the world Irish legends and stories of the past. Ireland is known for its rich storytelling and Irish art is among the most striking and popular in the world. It starred Irish actor Brendan Gleeson. This film was shortlisted for an Academy Award in 2010. Film poster for "The Secret of Kells". "Song of the Sea" is a 2014 film that explores the legend of the selkies, mythological creatures that can take human form. An Irish boy (played by David Rawle) discovers that his little sister who cannot speak is a selkie who has to find her voice and save supernatural creatures from the spell of a Celtic goddess (Fionnula Flanagan). I feel with this film Cartoon Saloon have upped their game even more. I am so proud as a Kilkenny and Irish person of what this little Irish animation studio has achieved. I can only imagine the hard work put into each little movement or colour in every shot of the film. Each wave in the sea is different, and you can see the shading, colour and sound come together perfectly to make the sea come to life on the screen. Just think of the work gone into creating such a simple movement as a wave moving? Poster for "Song of the Sea". Both of these films have received rave reviews and the fact that they've both received Oscar nods is a testament to the Academy for recognizing the talented work of Irish animators/illustrators/directors and a pat on the back for those involved. I'm so so excited for them. I hope to visit the studio some day because I'd love to see the process that goes into making an animated film. 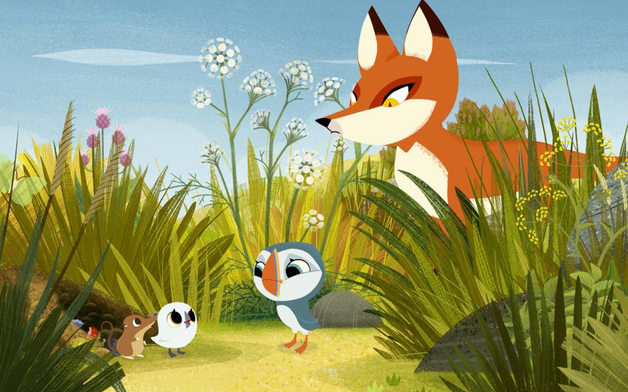 Cartoon Saloon have also animated a series called "Puffin Rock" for RTÉjr, it's on weekdays at 8:10 am and 1.10pm. No doubt it's as beautifully animated as other productions. Both founders of this animation studio are on Twitter, Tomm Moore and Paul Young, I recommend you follow them and keep to date with their progress in film, award shows and of course this year's Academy Awards! I also include the Twitter of the film's writer, Will Collins because he's the genius behind the lovely story. Irish singer/songwriter Lisa Hannigan sings a song in the film, also named "Song of the Sea". It's a haunting, very ethereal song and it goes well with the film. I've posted a link so you can give it a listen. You can also get a version of the song as Gaeilge (in Irish) which is equally as beautiful. Please do take the time to watch the trailers for both films I’ve talked about and any of the links posted on the blog post. I’ve got my fingers and toes crossed so tightly that Cartoon Saloon will be successful this year at the 2015 Academy Awards. No doubt they will continue to create works of art just as stunning and I look forward to seeing what they do in the future. I think that showcasing our legends of the past through excellently animated films is a beautiful way of promoting Irish culture and storytelling. I am really thrilled for Irish film, last year was a great year for us, in terms of our films' and the Irish film industry's success. I really hope it continues and our talented directors, illustrators, musicians, producers, artists, designers and all those who contribute to Irish film will get the support and recognition they deserve. 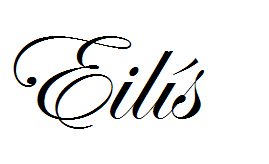 We are slowly carving our little niche in the film industry, and making waves in Hollywood. I'm very proud and SO excited. EDIT: I went to a Song of the Sea exhibition on the 16th of August 2015 and here are the photos. Thank you for reading, I really do appreciate it, especially as this blog post is special to me.